Say aloha to Ballston’s new pizza and wine mecca because The Best Thing on the Menu will change your perspective on Hawaiian pizza. Pizza Vinoteca’s take on the pie that typically gets left behind at parties boasts mozzarella, prosciutto, pineapple and spicy Fresno peppers. Tropical paradise, however, comes from a secret weapon not listed on the menu: a vanilla sherry glaze. The sugary addition can point out a cavity in your mouth though, so arugula is added for a tempering, peppery bite. 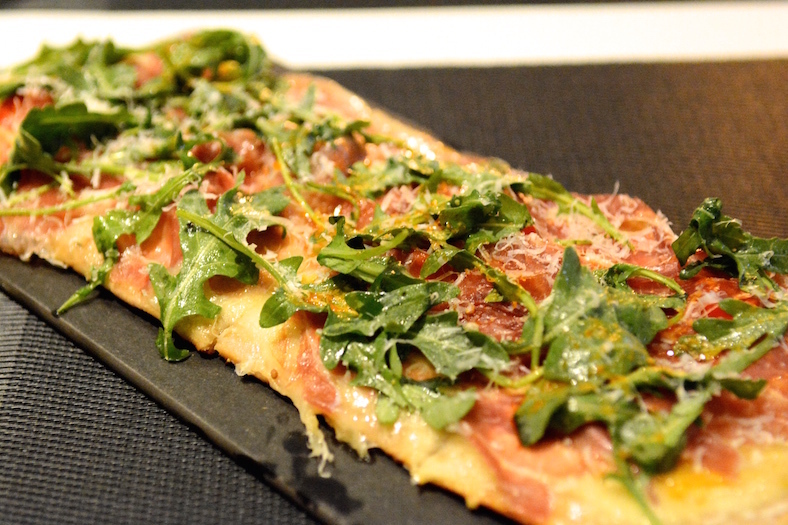 The pizza at Pizza Vinoteca is unique for other reasons too. 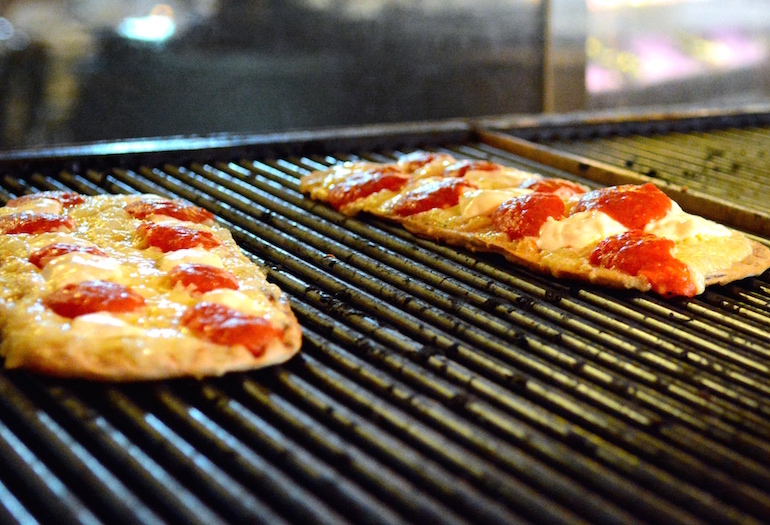 It’s cooked to completion in near minutes thanks to an 800 degree grill. In fact, a trip into the kitchen leaves you covering your eyebrows for fear they’ll burn right off. In order to ensure the dough can stand up to such high temps, the team in the kitchen adds red wine to the dough. They certainly have enough of it on hand (we’ll get to that). See if you can decipher a slight purple hue before you dig in to The Hawaiian or any of their other eight speciality pizzas. 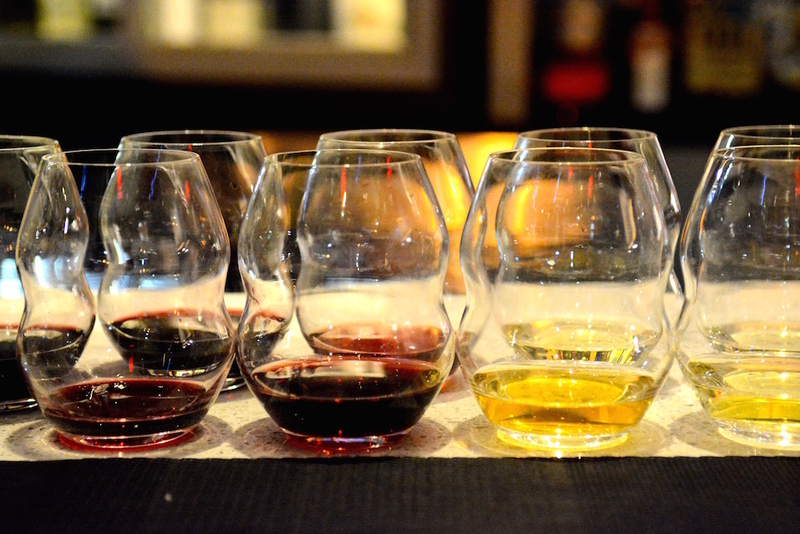 Pair any of Pizza Vinoteca’s fare with 36 wines offered by the glass. It gets better. They’re available by 3oz or 5oz pours and none surpass a price tag of $10. Because of CEO Ari Malcolm’s goal to make wine more accessible (read: affordable), you won’t find a lot of recognizable wine labels or even wine regions. Take this as an opportunity to explore. We like the Grüner Veltliner and Zweigelt from Austria. 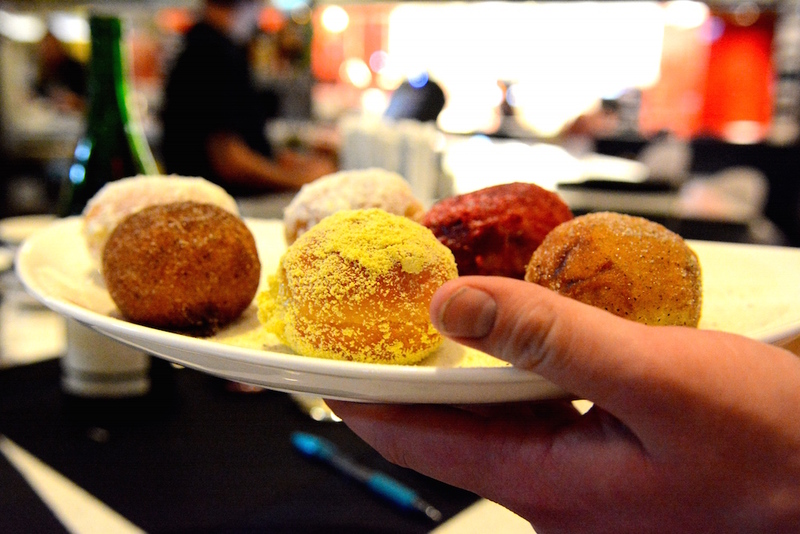 Dessert is a must because, well, bombolonis. These Tuscan-style doughnuts come in five flavors like Mexican chocolate, and are only $2 each. Pizza Vinoteca is located at 800 N Glebe Road in Arlington, and they deliver within a three-mile radius. The Hawaiian not your BTM? Share your favorites in the comments section. This entry was posted in Restaurants and tagged Ari Malcolm, Ballston, Pizza, Pizza Vinoteca, Virginia. Bookmark the permalink.